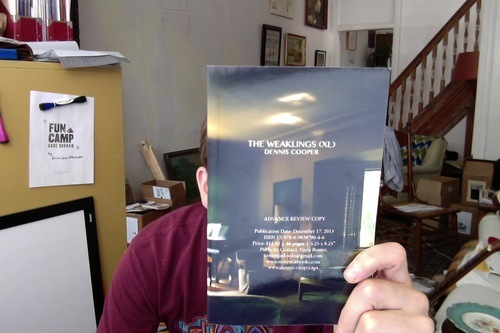 Here in my hand I hold the new book of poetry by Dennis Cooper. It will be out from Sententia Books in December. I got to work with Dennis on the design of the book. The poems, unsurprisingly, are about how it’s hard to be a kid and get along in the world. Is Dennis Cooper the most sympathetic person in the world?